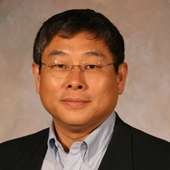 Sung Joon Jang is Research Professor of Criminology and co-director of the Program on Prosocial Behavior within Baylor’s Institute for Studies of Religion (ISR). Before joining Baylor University, Jang held appointments at Ohio State University and Louisiana State University. His research focuses on the effects of religion and spirituality as well as family, school, and peers on crime and delinquency. It has been published in social scientific journals of sociology, criminology, psychology and social work. Jang is the founding President of the Korean Society of Criminology in America and has been active in many capacities in the American Society of Criminology. Jang will lead ISR’s ongoing five-year study of seminaries embedded within maximum security prisons in Louisiana and Texas.